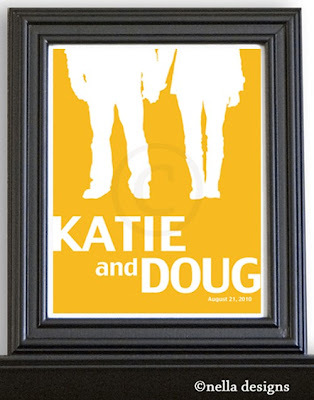 If you are having an engagement party this year, why not announce your wedding date with a custom silhouette print from Etsy shop Nelladesigns? I think this would look cute displayed at a party and then hung in your home. Alternatively, the framed print could be used in lieu of a guest book at a wedding.